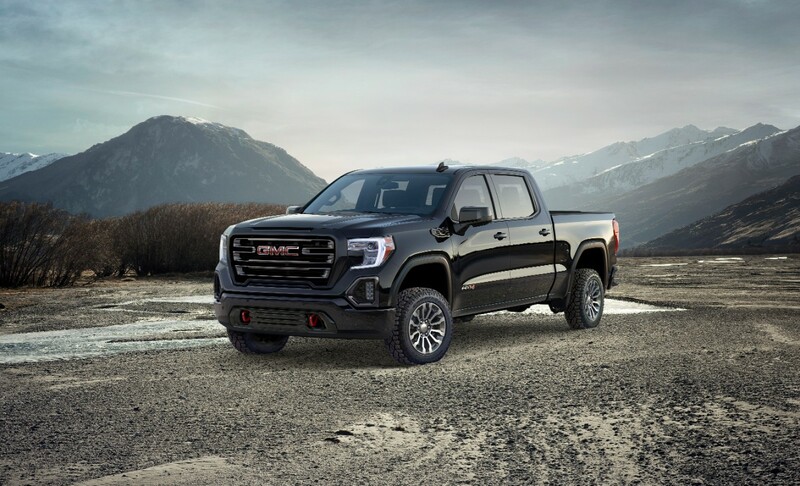 Designed to go off-road, on-road and anywhere in between, the 2019 GMC Sierra AT4 is a handsome looking truck that was built to be a workhorse. The Sierra AT4 comes standard with a factory installed 2-inch suspension lift that provides additional ground clearance and four-wheel drive with a two-speed transfer case that includes low-range four-wheel-drive gearing for extremely tough conditions. 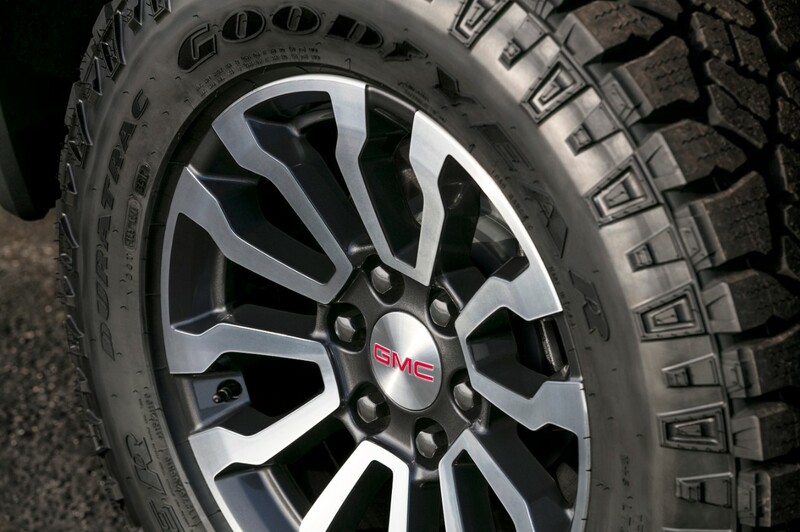 GMC also equipped the AT4 with off-road tuned Rancho monotube shock absorbers, a locking rear differential and Hill Descent Control, a driver assistance feature that leverages the anti-lock braking system to enable smooth, controlled descents on steep grades without the driver having to touch the brake pedal under certain conditions – all standard. 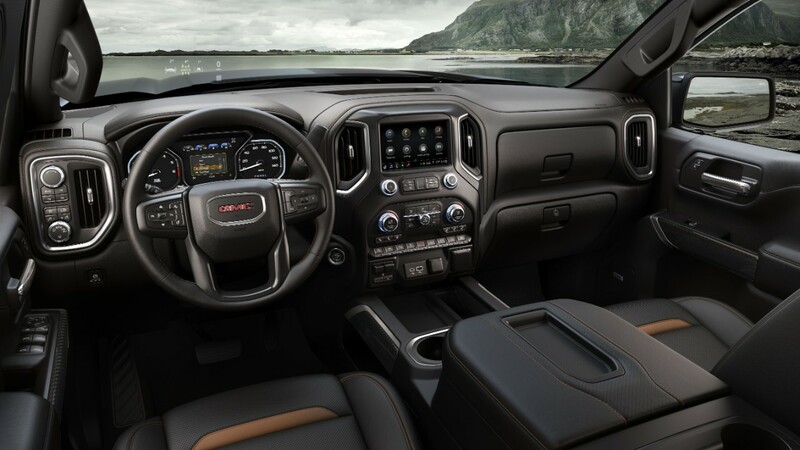 Speaking of standard features, check out everything that comes standard in the 2019 GMC Sierra AT4. We’ve never seen a tailgate anything like this one. Yeah, that’s a lot of moving parts, but it is truly functional. It would be a dream on the work site for sure. Not only is the tailgate genius, but the bed is actually made of carbon fiber! 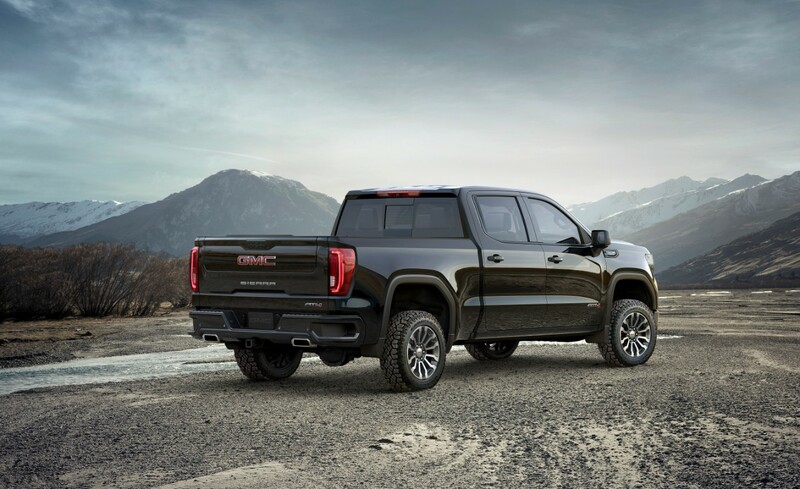 And if you’re looking for power, the 2019 GMC Sierra AT4 delivers with new versions of the proven 6.2L and 5.3L V-8 engines along with all-new Duramax 3.0L inline-six turbo-diesel engine. The available 6.2L and 3.0L engines are paired with a 10-speed automatic transmission. The 5.3L and 6.2L engines feature stop/start technology and new Dynamic Fuel Management that enables the engine to operate on one to eight cylinders, depending on demand, to optimize power and efficiency. The 2019 GMC Sierra AT4 goes on sale this fall. We’ll update you with pricing as soon as we can. Hopefully we’ll have a road review to share with you this fall as well. Stay tuned!